Ryanairhas launched new routes from London Stansted to Bordeaux in France and Rabat in Morocco. The budget airline will operate three weekly flights to Bordeaux on Tuesdays, Thursdays and Saturdays. 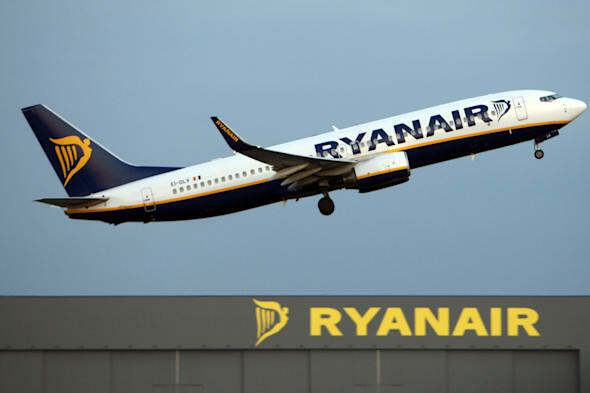 To celebrate, Ryanair is releasing 100,000 seats across its European network at prices starting from as low as £17.99 for travel on Monday, Tuesday, Wednesday and Thursday in March and April. These low fare flights will be available on over 1,000 of Ryanair's European routes, but must be booked on the Ryanair.com website before midnight Monday, 10 Feb.
A woman flying from Heathrow to the Dominican Republic almost missed her flight and claimed that her car had broken down and she’d had to abandon it on the hard shoulder of the M4 and walk "miles and miles" with her luggage to make it in time. A man flying from Exeter to Prague blamed his lateness on his wife, because he claimed that she had packed and repacked their suitcases seven times before accepting the fact that they hadn’t forgotten to bring anything. A woman flying from Luton Airport to Egypt said that her reason for almost missing the flight was because she couldn’t decide whether it was best to fly wearing jeans and a t-shirt, a skirt and vest top or a comfortable tracksuit. She settled in the end for a beach dress and flip flops. A man flying from Manchester Airport to Italy claimed that his lateness was due to the fact he’d had to make sure he had fed all 17 of his cats, all five of his dogs and his two budgies, and needed to give his neighbour all the instructions to do with the care of his pets while he’d be away. A woman flying to Brazil from Heathrow Airport only just made it onto her flight. She explained that she had put her watch back two hours ready for her arrival in Brazil and the right time zone. However, she needed to check in two hours before, so she only just made it; not remembering her watch was two hours behind of the actual time in the UK. A woman flying from Bristol to Gran Canaria told airport staff she was late for her flight because, while getting ready to leave the house, she’d been watching The Lion King on DVD for the first time and had to find out how it ended (even though she knew she'd then be running late). A man was flying from Gatwick to New York and only just made his flight, claiming that he’d been unable to get off the toilet after having suspected food poisoning and an upset stomach from the 'substandard food' he’d consumed in the terminal. A woman flying from East Midlands airport to Tenerife and almost missed her flight. She claimed that she hadn’t been with her boyfriend all that long, who was travelling with her, and that they’d had to pull into a lay-by on the drive to the airport to 'get intimate'. A man flying to Majorca from Birmingham claimed that he had almost missed his flight because he had got drunk in a bar in the airport and fallen asleep on his stool, but that he’d miraculously sobered up during his 20-minute nap and was fit to fly. A man flying from Cardiff Airport to Tunisia said that he was made late by the fact he thought his flight was the next day, but luckily his Mum had called to remind him that he needed to go and meet his friends at the airport.